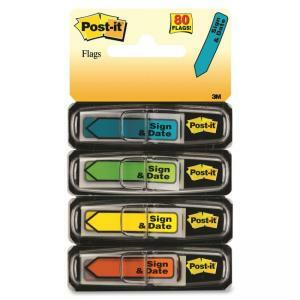 Post-it Printed Message Flags with arrows move the signature process along at a more efficient pace. 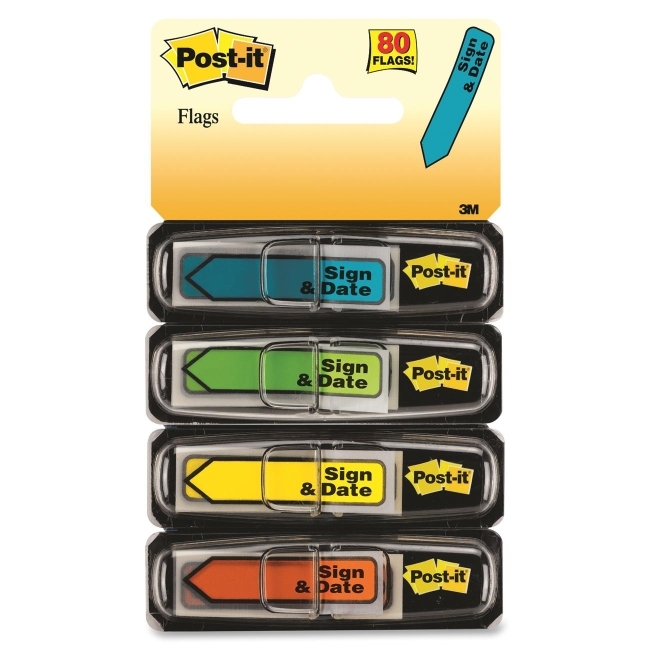 Ideal for marking documents without writing on them. Each 1/2" flag sticks securely, repositions easily and removes cleanly. Bold arrow points precisely where you need a document signed and dated, and the preprinted "Sign and Date" message designates the action needed. Flags dispense one at a time.